On this day in 1962, a 33-year old Harold Johnson put his light-heavyweight championship on the line before a crowd of 35,000 at Olympia Stadium in Berlin, Germany. Johnson's opponent was an 85-1-6 southpaw and local hero named Gustav "Bubi" Scholz. Although the Berlin native was a 4-1 underdog in the fight, he provided the traveling champion with a stiff test, wobbling Johnson in round ten and hanging around for the full 15 round limit. However, Harold controlled the bout and hurt Scholz in round six. The official decision was unanimous for Johnson, allowing him to retain his crown for the fourth time since taking the NBA title in 1961. This was Johnson's first fight and defense since winning recognition of the world title the month before. The win raised Johnson's record to 67-8. After the bout, Johnson's camp talked about the continuation of a European tour, but that never happened. 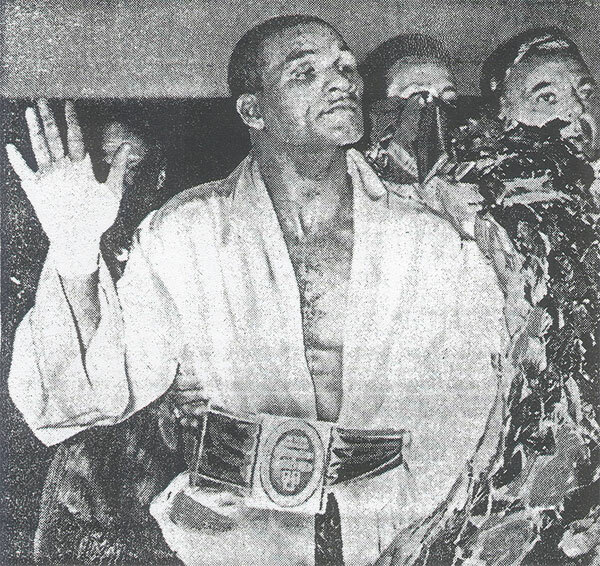 He next fought nine months later (in the US) and then lost his title on a disputed decision to Willie Pastrano in June 1963 in Vegas.